Home / Shop / Brands / Matrix / Matrix Fitness Mx-R5x Commercial Recumbent Bike. .Call Now For Lowest Pricing Guaranteed! 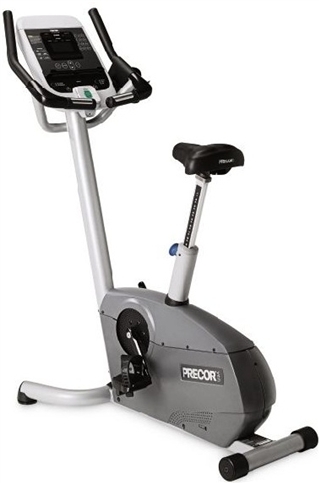 This recumbent bike from Matrix is designed for people with back problems and those who are undergoing physical therapy. The ergonomic seat is padded for maximum comfort and has a contour to ensure your back is as comfortable as possible during your workout. It is also has an easy to use step thru, making it suitable for people who are undergoing some physical challenges that may prevent them from. 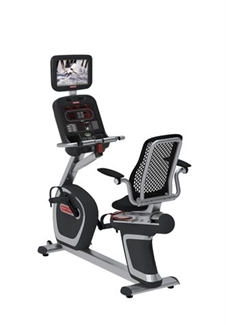 Besides its ergonomic design this recumbent bike has a sleek design that will complement any room with modern furnishings. 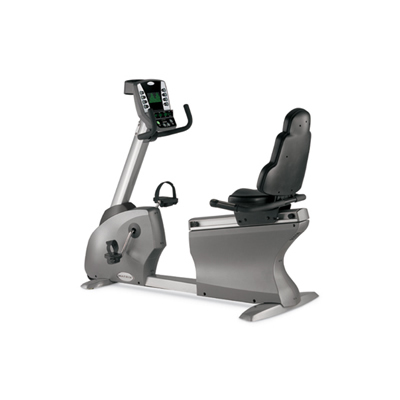 The recumbent bike has 25 resistance levels that will allow you to choose the level for your low impact cardio workout so that you do not risk injuring your knees or other joints. You can choose between several presets to get you started. The LED interface is so user friendly, such that a first timer can start using the device in 30 seconds. Sleek design that is aesthetically pleasing. Designed to be user-friendly; even new users can start using it within 30 seconds. Have self driven does not require outside source of power or batteries to start. The step thru design makes it easy to get on and get off the machine, without assistance. Seat that is padded for comfort and ergonomically countered. LED screen with that displays time, speed and calories burned. Is of reasonable weight for a recumbent bike at 180 pounds and can accommodate a user of 400 pounds. Both bikes have been designed to give extra back support for users who seek recumbent bikes, because they have back problems. 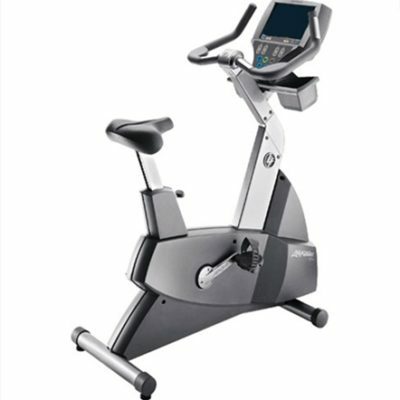 The Matrix Fitness MX has the advantage over 9500HR in that it has an easy to use step through design. It also has a sleek design. 1 review for Matrix Fitness Mx-R5x Commercial Recumbent Bike. .Call Now For Lowest Pricing Guaranteed! Great commercial Bike. Great comfortable seat and back support . Easy adjustments and has a walk through design so no middle bridge to lift my leg over . Has all the features and is very easy to use . Purchased this refurbished and got the warranty from gympros at a great price . Thank you and recommend this company to anyone looking for a great deal . Thx Jon, Much appreciate the Business!